In this 2016 SHOT Show Interview I talk with Bob Li from Action Sport Games. Bob shows me some of the new products this year from ASG. 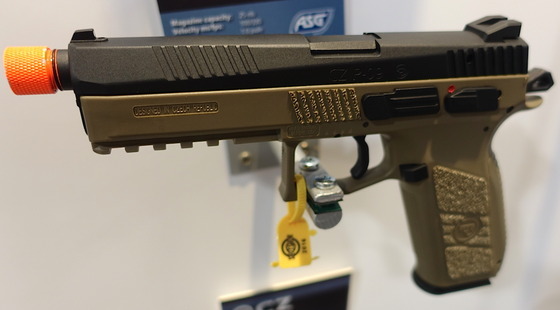 Some of ASG's newer pistols are the Dan Wesson 715, the CZ 75 SP-01 Shadow, the CZ P-09. New to the rifle line is the CZ Bren 80, also a couple of sniper rifles, the M40A5 and M40A3. ASG is also coming out with a an Inferno HPA version of their CZ Scorpion EVO 3A1. The ASG Dan Wesson 715 has ot me my favorite product from ASG, you need to hold it in your hand to really understand how solid this pistol really is at close to 3 pounds. Everything about it is an improvement over previous Dan Wesson models including the trigger and hammer action, crane setup and the more actuate frame length with the new more compact internal CO2 valve. The ASG Dan Wesson 715 will be shipping in 4.5mm Steel BB, 6mm Plastic Airsoft and .177 caliber pellet versions. 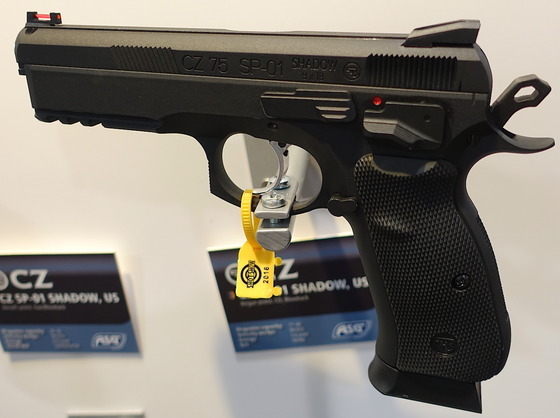 ASG's two new Full blowback CZ 75 SP-01 Shadow, the CZ P-09 pistols should be coming out shortly, both will be available in 4.5mm Steel BB and 6mm Plastic Airsoft. Both pistols feature a metal slide and frame with full size drop out metal magazines and will have CO2 and Green Gas magazine configurations. The CZ P-09 will have a threaded barrel and barrel protector.